Very interesting in parts especially Matthews research of women during the 1916 Rising and the hardships faced by the ordinary non repubican women during the War of Independence. This book is very well researched however it can be mean spirited in parts especially during the treatment of Maud Gonne and Countess Markievicz; although it was hard not to agree in parts about the self obsessed elements of both of their personalities. In addition it drags on in parts with lists of names dominating paragraphs and Matthews only offers a 3 line conclusion after 300 pages of her examination of this topic. 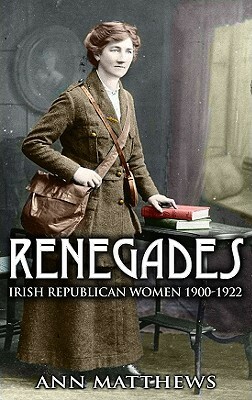 Very intriguing book about the contribution women made toward Ireland's fight for independence. It spans the years from the Easter Rebellion in 1916 to the Treaty in 1922. It seems that women had a very significant role in the Easter Rising. The Treaty and Anti-Treaty sides actually divided the women after the war, and already by the end of the book, there is apparent a trend toward the women being further marginalized. The sequel, The Dissidents, seems to confirm this. I liked this book, but can't help feeling it's "unfinished". Also, while some of the women's background is explained in great detail, others (especially in the second half of the book) just sort of pop up with no background details given whatsoever. On the other hand, it's well written and certainly an interesting and worthwhile read.